Relax by the water at Matarangi Beach and New Chums Beach. You'll visit kid-friendly attractions like Tiritiri Matangi Island and Whangapoua Beach. You'll find plenty of places to visit near Auckland: Burke Street Wharf (in Thames), Muriwai Gannet Colony (in Muriwai Beach), Zipline (in Woodhill), Wild on Waiheke (in Waiheke Island), Whitianga (Combat Zone Paintball and Fun Park & Mercury Bay Museum), The Waterworks (in Coromandel), Otama Beach (in Kuaotunu), Orewa Beach (in Orewa), Brick Bay Sculpture Trail (in Snells Beach), Warkworth (Tawharanui Regional Park & Goat Island Marine Reserve) and Matakana War Memorial (in Matakana). The adventure continues: get impressive views of Rangitoto Island, admire nature's wide array of creatures at Kelly Tarlton's Sea Life Aquarium, indulge your senses at some of the top wineries in the area, and cross one thing off your bucket list with a skydiving experience. To see where to stay, reviews, ratings, and tourist information, use the Auckland vacation builder. Singapore, Singapore to Auckland is an approximately 14.5-hour flight. The time zone difference when traveling from Singapore to Auckland is 4 hours. Traveling from Singapore in April, expect nights in Auckland to be a bit cooler, around 23°C, while days are colder, around 23°C. Finish your sightseeing early on the 7th (Sun) to allow enough time to travel to Queenstown. On the 7th (Sun), examine the collection at Arrowtown Chinese Settlement, look for all kinds of wild species at Kiwi Birdlife Park, then stroll the grounds of Queenstown Cemetery, and finally get the adrenaline pumping with an extreme tour. Keep things going the next day: do a tasting at Gibbston Valley Wines, then contemplate the waterfront views at Arrow River, and then admire the masterpieces at Lakes District Museum & Art Gallery. To see traveler tips, where to stay, and more tourist information, read our Queenstown online itinerary creator. Traveling by flight from Auckland to Queenstown takes 4 hours. Finish your sightseeing early on the 9th (Tue) to allow enough time to drive to Te Anau. 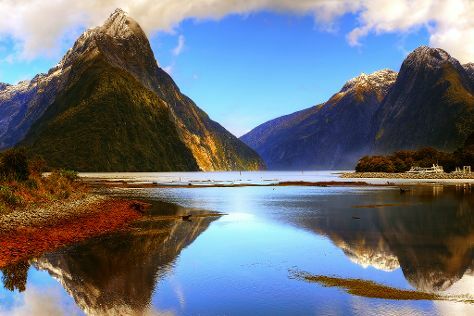 Kick off your visit on the 9th (Tue): admire the sheer force of The Chasm and then cruise along Milford Sound. Keep things going the next day: explore the activities along Lake Te Anau, then take a pleasant ride with a tour on horseback, and then explore the fascinating underground world of Te Anau Glowworm Caves. To find reviews, other places to visit, photos, and other tourist information, use the Te Anau trip itinerary planner. You can drive from Queenstown to Te Anau in 2 hours. Another option is to take a bus. Cap off your sightseeing on the 11th (Thu) early enough to go by car to Dunedin. Kick off your visit on the 11th (Thu): stroll through Aramoana Beach, then get a taste of the local shopping with Dunedin Public Art Gallery, then see the interesting displays at Toitu Otago Settlers Museum, and finally step into the grandiose world of Larnach Castle & Gardens. Get ready for a full day of sightseeing on the 12th (Fri): identify plant and animal life at Natures Wonders Naturally, see the interesting displays at Port Chalmers' Seafaring Museum, then look for all kinds of wild species at Orokonui Ecosanctuary, and finally pause for some serene contemplation at First Church Of Otago. To find where to stay, ratings, and tourist information, read Dunedin online itinerary creator. You can drive from Te Anau to Dunedin in 4 hours. Alternatively, you can take a bus. 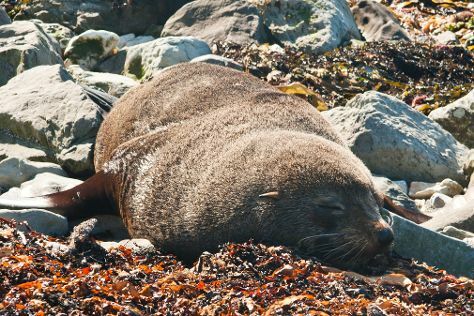 Finish your sightseeing early on the 13th (Sat) to allow enough time to drive to Kaikoura. Kick off your visit on the 13th (Sat): steep yourself in history at Fyffe House, don't miss a visit to Ohau Point Seal Colony, and then look for gifts at Southern Paua Shop & Factory. On the next day, look for all kinds of wild species at Peninsula Seal Colony, then add some adventure to your tour with a kayaking and canoeing tour, and then take in the exciting artwork at Art & Design Gallery. To see more things to do, maps, other places to visit, and tourist information, refer to the Kaikoura itinerary maker. Getting from Dunedin to Kaikoura by car takes about 7 hours. Other options: do a combination of flight and bus; or take a bus. Wrap up your sightseeing on the 15th (Mon) to allow time to travel to Wellington. On the 15th (Mon), see the interesting displays at Southward Car Museum and then stroll the grounds of Bolton Street Cemetery. 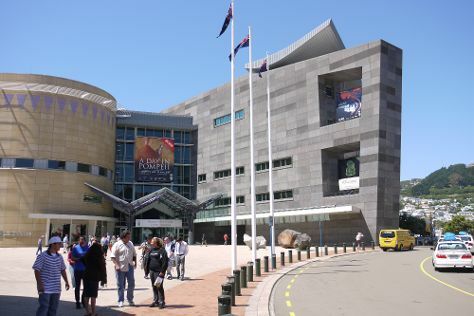 Get ready for a full day of sightseeing on the 16th (Tue): enjoy the sand and surf at Scorching Bay, then see the interesting displays at The Weta Cave, and then see the interesting displays at Museum of New Zealand Te Papa Tongarewa. For more things to do, other places to visit, ratings, and tourist information, read our Wellington sightseeing planner. You can do a combination of bus and flight from Kaikoura to Wellington in 6 hours. Alternatively, you can do a combination of bus and flight. May in Wellington sees daily highs of 18°C and lows of 12°C at night. Wrap up your sightseeing on the 17th (Wed) to allow time to travel to Christchurch. Get some cultural insight at Canterbury Museum and Quake City. The Giants House and Port Hills will appeal to history buffs. Change things up with these side-trips from Christchurch: The Golf Course at Terrace Downs Resort (in Windwhistle), Little River Gallery (in Little River), Ashburton Aviation Museum (in Ashburton), Charles Upham VC Statue (in Amberley), Akaroa (Hinewai Reserve, Kayaking & Canoeing, & more), Balloon Rides (in Darfield) and Waipara Hills (in Waipara). On the 21st (Sun), spend an exhilarating day on the slopes at Mt. Hutt. There's much more to do: examine the collection at International Antarctic Centre, meet the residents at Orana Wildlife Park, tour the pleasant surroundings at Hagley Park, and take in panoramic vistas at Christchurch Gondola. To find reviews, photos, where to stay, and tourist information, go to the Christchurch travel planner. Fly from Wellington to Christchurch in 3 hours. Alternatively, you can do a combination of ferry and bus. Traveling from Wellington in May, plan for slightly colder nights in Christchurch, with lows around 5°C. Finish up your sightseeing early on the 6th (Tue) so you can travel to Taupo. Kick off your visit on the 6th (Tue): view the masterpieces at L'Arte, then admire the sheer force of Huka Falls, and then engage your brain at Volcanic Activity Centre. On your second day here, look for all kinds of wild species at Tongariro National Trout Centre and then relax and float downstream with a rafting and tubing tour. To find photos, maps, ratings, and other tourist information, use the Taupo tour planner. You can fly from Christchurch to Taupo in 5 hours. Alternatively, you can do a combination of bus and ferry. Wrap up your sightseeing by early afternoon on the 8th (Thu) to allow time for the car ride to Rotorua. Start off your visit on the 8th (Thu): fly like a bird with a parasailing or paragliding tour and then pause for some serene contemplation at St. Faith's Anglican Church. 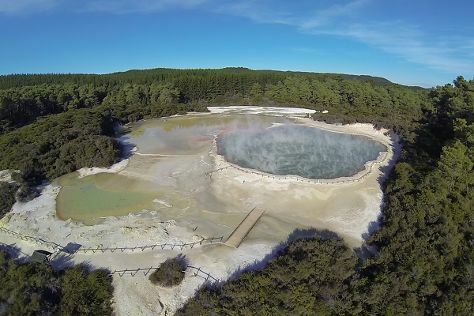 Get ready for a full day of sightseeing on the 9th (Fri): kick your exploration up a notch at some of the top local zipline courses and adventure parks, then take in the natural beauty of Wai-O-Tapu Thermal Wonderland, and then steep yourself in history at Tamaki Maori Village. To see photos, reviews, ratings, and other tourist information, refer to the Rotorua online itinerary creator. Drive from Taupo to Rotorua in an hour. Alternatively, you can take a bus. Finish your sightseeing early on the 10th (Sat) so you can drive to Waitomo Caves. On the 11th (Sun), explore the fascinating underground world of Waitomo Glowworm Caves, admire all the interesting features of Roselands Farm Park, then head off the coast to Kapiti Island, and finally go for a walk through Cape Reinga. Here are some ideas for day two: let the river carry you with a rafting and tubing tour, then relax in the rural setting at Waitomo Big Bird & Miniature Animal Petting Farm, and then get curious at Te Awamutu Space Centre. To see traveler tips, more things to do, where to stay, and more tourist information, read Waitomo Caves online itinerary creator. Drive from Rotorua to Waitomo Caves in 2.5 hours. Alternatively, you can take a bus. Wrap up your sightseeing by early afternoon on the 13th (Tue) to allow enough time to travel back home.